The windows and doors in your home have a big influence on its look, functionality and energy performance. Whether your windows and doors have been damaged or are nearing the end of their service life, Tri-County Contracting specializes in door and window replacement and repair. Our certified team of experts will guide you in selecting the best options for your Wisconsin home. We proudly carry selections from some of the industry’s leading manufacturers including Pella, Marvin and ProVia. A draft from a door or window means a broken seal is allowing the elements to enter and your valuable heating or air conditioning to escape. If left untreated, this not only affects the indoor comfort levels of your home, it will also cause an increase in your heating and cooling bills. 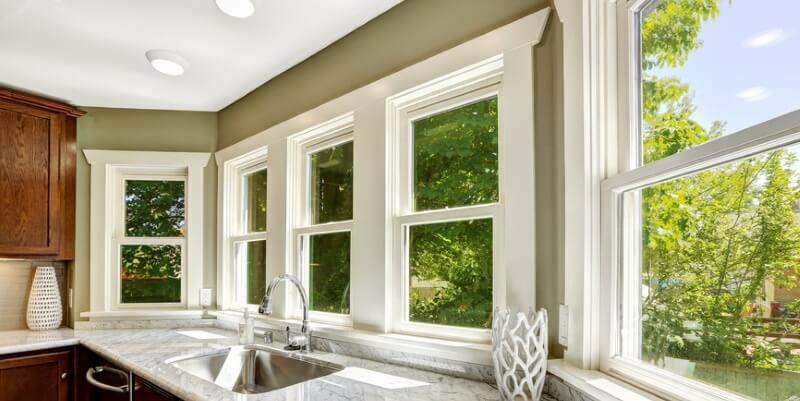 From vinyl to wood-framed options, our window and door replacements are designed to match the aesthetics of your home while standing up to harsh weather conditions year-round. Our contractors are expertly trained to custom-fit your new windows or doors perfectly in the existing openings. Our quality products and professional installation ensure an airtight seal that will noticeably improve household energy efficiency. Keep your home comfortable by eliminating drafts and increasing energy efficiency with quality door and window replacement from Tri-County Contracting. We invite you to walk through our showroom to check out our wide window and door selection. One of our friendly representatives will be happy to assist you. Ultimately, we want you to be happy with your decisions and how your home looks and feels! Call us at (262) 679-6100 or fill out our contact form to get started with a free quote.